I've already recommended The Pioneer Woman's blog. Some like it because she's a homeschooling mom. Some because she's living on a working cattle ranch. Some for the regular incredible giveaways. I love it for the photography. 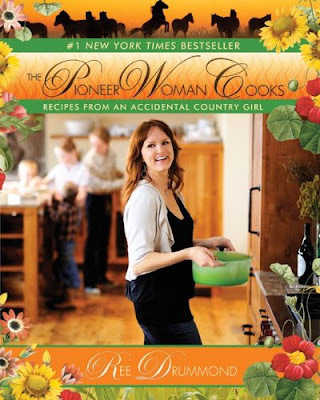 Which is the very same reason I love her cookbook, The Pioneer Woman Cooks. Every recipe (just like on her blog) includes pictures for every step of the process. I'm not really that skilled at the cooking and such so having photographic evidence of what my bowl should look like is always a good thing. I've become Mac-obsessed as of recent. And I only own an iPhone. But I adore that lil' gadget so much that I'm in for the long haul. I secretly want a MacBook Pro and that Apple sticker on my car. I watched this documentary last year and loved it as kooky as Macheads really are. You can watch it in full from here or at Hulu. I try not to love Beyoncé but I must. It took me a little longer to warm up to "Sasha Fierce" but here I am gathered around her Mrs. Jay-Z fire all warm and toasty. This single "Scared of Lonely" is perfect for dusting ceiling fans while feeling vulnerable. Or whatever. Disclaimer: I don't recommend anything because I get it free or because I have some sort of illicit relationship with an author or producer or musician. I save all of those questionable dealings for major stockholders of Cheez-its.